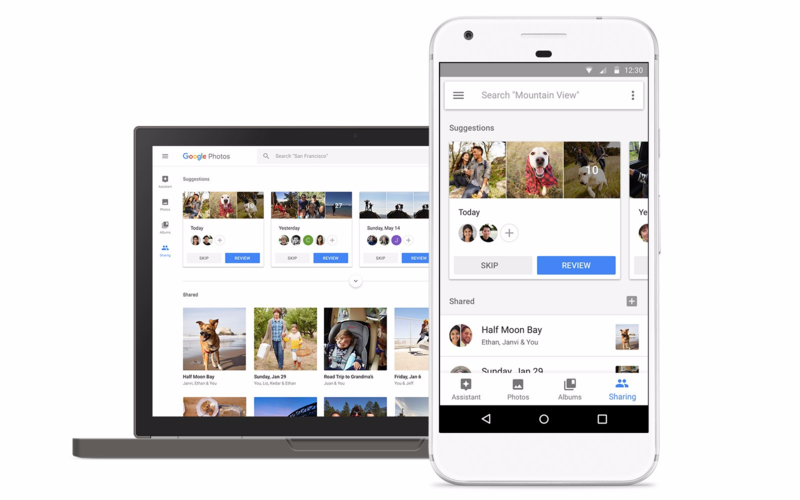 Google Photos is something many people use every day; the automatic backup feature is so convenient, and the free unlimited storage is a major selling point. At I/O 2017, Google unveiled three new features: Suggested Sharing, Shared Libraries, and photo books. All of these use Photos' excellent machine learning technology to group faces together. 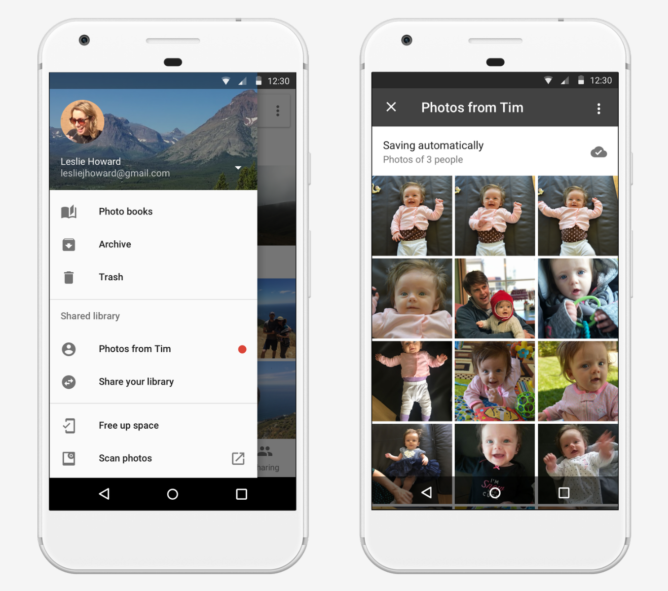 Reminding people to share photos they've taken is a common thing, and Google knows that. To alleviate this issue, the Suggested Sharing feature reminds you to share, groups photos with common faces together, and even suggests who the photos should be sent to based on the faces that it recognizes in those photos. After sharing, your friends and family will obviously be able to see the photos from a certain event or occasion. That's not all, though; they'll also get reminded to add their own pictures, too. Suggested Sharing will roll out to Android, iOS, and the web in the 'coming weeks,' and it'll call the new Sharing tab its home. If there's one person you share everything with, whether it be your significant other or just a great friend, Shared Libraries may be for you. This enables you to allow your entire photo library to be shared with another person, or only photos of certain people or photos taken after a certain date. In addition, when another person shares their library with you, you can select photos/videos that you want saved to your personal library. Shared Libraries will also be rolling out in the next few weeks to Android, iOS, and the web. People used to spend loads of time organizing photos and putting them in albums, but services such as Google Photos negated the need for much of that. 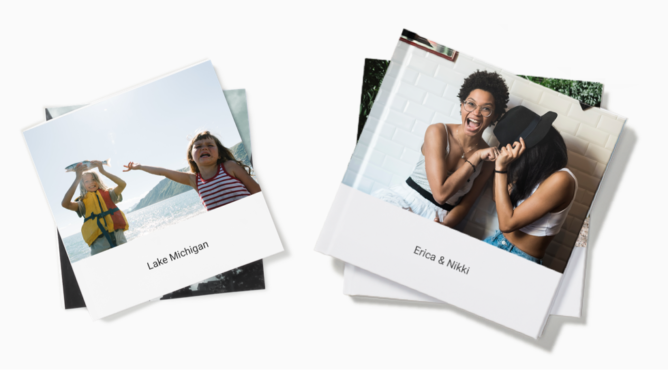 But if you still have to have physical copies of your pictures, Google's new photo books may be of interest to you. They can even be made straight from your phone, with the Photos app pre-grouping photos by face, location, or some other characteristic. On top of that, Photos can automatically remove pictures you don't want, like duplicates or blurry ones. Google will also be able to suggest photo books that could be printed based on trips or family time, but that won't be available at launch. Softcover photo books will start at $9.99, and hardcovers at $19.99. It's available today in the US on the web, and will be coming to Android and iOS in the coming weeks. Photo books will come to other countries soon as well. Fun fact: I/O participants are receiving free ones.